SkySQL has announced an enterprise version of its MariaDB platform, a branch or fork of MySQL that has gained a lot of traction in the MySQL community over the past few years. Also, Oracle has released a critical security patch, Wikibon is opining on converged infrastructure, and Pythian is accepting bitcoins. Those are the highlights for Oracle News Today. MariaDB Enterprise includes commercial support as well as some management and monitoring features, such as database clustering. Matt Aslett, research director of data management and analytics at New York-based 451 Research, said in a SkySQL press release that his organization has seen growing adoption of MariaDB as a "drop-in replacement" for MySQL. Michael "Monty" Widenius, the founder of MySQL, developed MariaDB in response to concern over how Oracle would develop MySQL after it acquired Sun Microsystems. Oracle has released its quarterly Critical Patch Update Advisory, which includes 144 security fixes across its entire product portfolio, including database, middleware and applications. The most critical patches are for vulnerabilities in WebCenter, Flexcube, MySQL and multiple aspects of Java. The next series of patch updates for this year are scheduled for April, July and October. Wikibon has found that the use of converged infrastructure can double the productivity of database administrators. 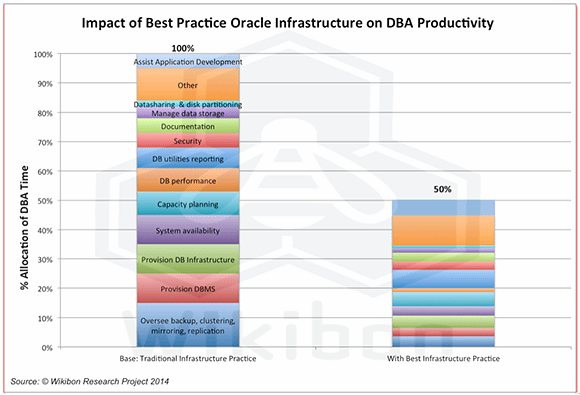 To conduct the research, Wikibon interviewed site members who had adopted Oracle converged infrastructure products such as Exadata and Exalogic, asking them detailed questions about how long they spend on certain DBA tasks such as provisioning databases and security. According to Wikibon, benefits from a converged infrastructure that can lead to better productivity include the ability to manage the converged infrastructure as a single component, regular pre-tested updates and having a single vendor to go to for problems. Ottawa-based Oracle consultancy Pythian is now taking bitcoins as payment for services, the company recently announced. The digital currency has quickly grown in popularity, and even large companies such as Overstock.com and Zynga now accept them. In the announcement, Pythian said it will now accept bitcoins in exchange for database management services.